FRANCE PARALYMPIQUE – Comité paralympique & sportif français – Be a part of the team ! 27 septembre 2018 Commentaires fermés sur Be a part of the team ! Don’t miss out on this amazing opportunity to be involved in the #Tokyo2020 Olympic & Paralympic Games ! Please make sure you read this page before you apply. There is currently an issue logging into the Tokyo 2020 Volunteer My Page when users using Facebook accounts. We apologise for any inconvenience those users may have. We regret that sufficient measures have not yet been taken to respond to people using accessibility keyboards or text-to-speech software. We are currently working to improve the situation, and in October our Call Centre will be ready to assist those with a visual impairment. Further information will be provided in due course, and we will post on our official website the date when accessibility measures will be put in place. The closing date for the application period will be early December. Application registrations will not be accepted on a first-come, first-served basis. 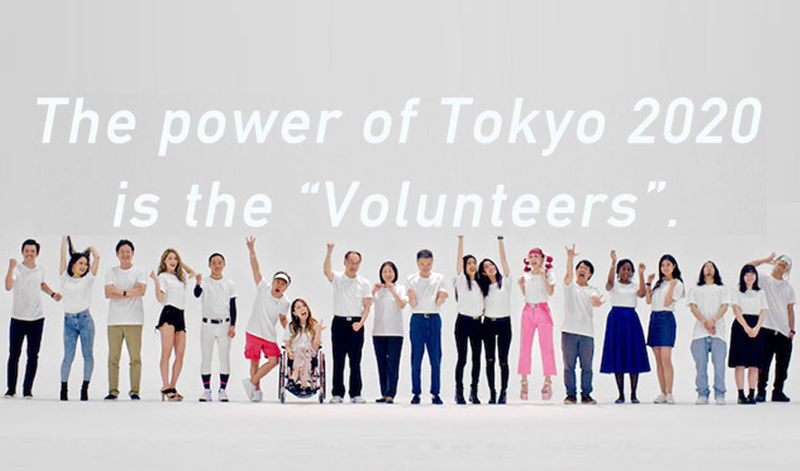 Please do not confuse ‘Games Volunteers’ with the ‘City Volunteers’ being recruited by the Tokyo Metropolitan Government. Please note that your application ID and password will not be the same as the Tokyo 2020 ID.